Some of the sharpest and funniest dialogue of the story comes in conversations between Rebus and Cafferty and between Rebus and Clarke. Much organised crime is now carried out via the darknet rather than on the streets. 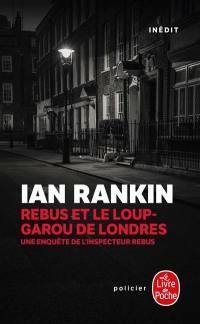 Rebus is back because he just can't stop being a police investigator and the police have found that they may not be able to do without him. The result is an entertaining and enjoyable police procedural that taps into current events and the exposure of past ones. It remains to be seen but his fans are no doubt very well pleased to have had the opportunity to take this journey with him again. That evening, as Siobhan and Malcolm Fox share dinner, they are told of a shooting in the city — the target Big Ger Cafferty, retired gangster and long-time Moriarty to Rebus' Holmes. Rankin appears to pull off effortlessly, the balance between keeping the plot moving and giving us time to understand the panor I practically inhaled this novel in one sitting - it may rate as the most enjoyable, of a very enjoyable series. Of course that makes connecting the dots more difficult and when Big Ger points out the connection, it felt a little too Hand of the Creator for my taste and it's only by digging deep into the archives that it gets solved. Then a famous lawyer was battered to death in his home. Throw in Siobhan Clarke and Malcolm Fox and you have a very decent crime book. But then Clarke discovers that Minton had received a note threatening his life just before he was killed. The case also seems to tie into the surveillance that Malcolm Fox is working, and retired or not, once John Rebus has the bit between his teeth, nothing is going to stop him from immersing himself in the investigation. The only bit that felt a little underdeveloped was the end, which seemed to tail off and left untold the aftermath and fallout of the cases. The end of the books written todate on Rebus. Despite all of that, it was still much better than a lot of other people can do and I enjoyed it immensely because there were occasional sparks of wonderful Rebus action. The bullet misses him, leading to uncertainty as to whether it was a serious attempt to kill him or perhaps was only a warning. Ian Rankin is getting better. This story was particularly well written and topical, as it involved a subject that has been widely reported in the past few years, something very evil that was covered up for decades, involving very high ranking persons, from many walks of life. That's the thing about Rankin's writing; he has allowed Rebus to age naturally, so he's now in his sixties. So it panned out, it was a comfort and a thrill to read Even Dogs in the Wild. That said, there were some excellent moments. The only cop, or ex-cop, that Cafferty will even think about discussing the matter with is his long-time nemesis, John Rebus. Fox, a former member of the Complaints division Scotland's version of Internal Affairs is still distrusted by almost every other police officer, and has been assigned to a relatively useless role assisting a surv The twentieth book in this great series finds the protagonist, former Edinburgh police detective John Rebus, finally retired. His first Rebus novel was published in 1987; the Rebus books are now translated into 22 languages and are bestsellers on several continents. And it's no longer the Lothian and Borders Police of Rebus' heyday. If he'd tried to get this published 25 years ago we'd never have heard of him a quarter century later. Rebus' era in policing is over. Thankfully, the core mystery itself — Who is the killer? Rebus has always been his own man, and he's not at all reluctant to stray off the reservation in the pursuit of an investigation, irrespective of what his supervisors or his colleagues might think. The plot thickens considerably when it turns out that Cafferty received the same threatening note that Lord Minton had gotten. There are too many characters, too many plot threads, an absence of needed transitions, frequent lack of clarity about who is actually in a scene, and not enough 'helps' for readers to keep track of the interlocking events. This one, not so much. Then I heard from his U.
Cafferty is Moriarty to Rebus' Holmes. 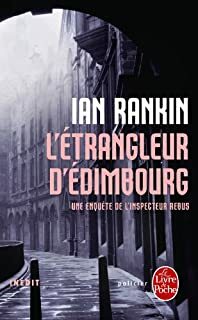 Retired Edinburgh police detective John Rebus is asked by his former partner Siobhan Clarke, to help with an investigation involving a botched assassination attempt on Rebus's longtime nemesis, Big Ger Cafferty. Contemporary issues from the real world are infused beautifully into the book. Over the years, the two have come to a kind of grudging respect. But, for now, Ian Rankin's given us one hell of a gift. 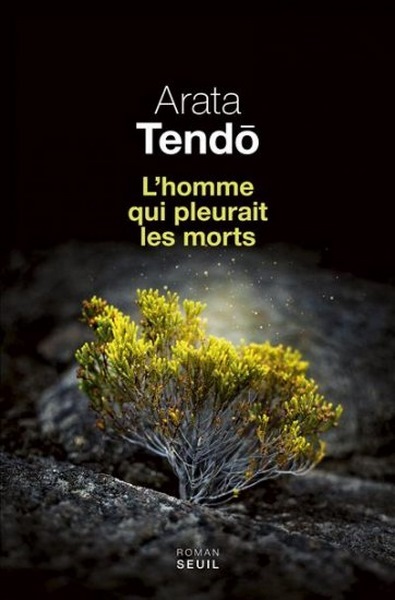 L'homme est un loup pour l'homme, en ville comme dans la nature, et Rebus, Clarke et Fox vont tout mettre en œuvre pour arrêter ce tueur qui les menace tous. The story is typical Rebus. This story was particularly well written and topical, as it involved a subject that has been widely reported in the past few years, something very evil that was covered up for decades, involving very high ranking persons, from many walks of life. He always manages to bring in current events and societal concerns to his stories. Like Michael Connelly, Rankin made the decision long ago to age his protagonist in real time, and as his inaugural readership has aged, so too has the character. Even Dogs in the Wild says he may have been through a lot but he's no worse for the wear. And will he put his own mark on the job.